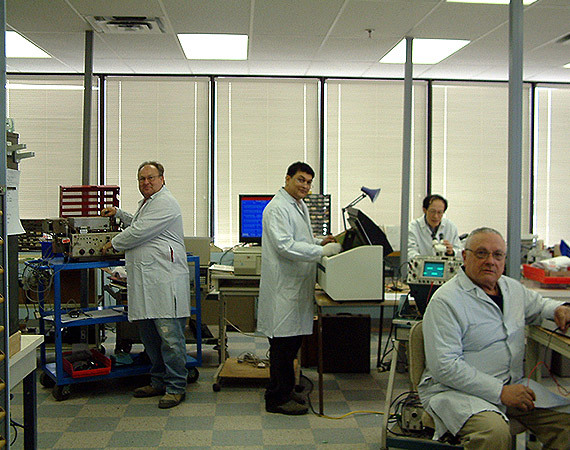 Founded in 1974, Labequip has grown to become one of the largest suppliers of surplus scientific equipment in the world. We have thousands of high-quality new and used scientific items in stock at our state-of-the art 300,000 cu. ft. warehouse. Browse all of our scientific items for sale right here on our website, complete with detailed photos and descriptions. We are constantly updating– so check back often. Labequip sells quality used, demonstrator, end-of-line and clearance scientific equipment at a substantial savings from new. We’re also a factory-authorized dealer for many new items from major manufacturers. Our expert, in-house sales and support staff (all with scientific backgrounds) will help you find exactly what you’re looking for. Give us a call today! Labequip has helped tens of thousands of satisfied customers from major universities, research labs, and manufacturing facilities worldwide. We service what we sell and we can maintain and repair many of the instruments already in your lab. Your purchase is reconditioned, inspected and thoroughly tested to ensure that it is accurate, reliable and functioning well - we guarantee it!